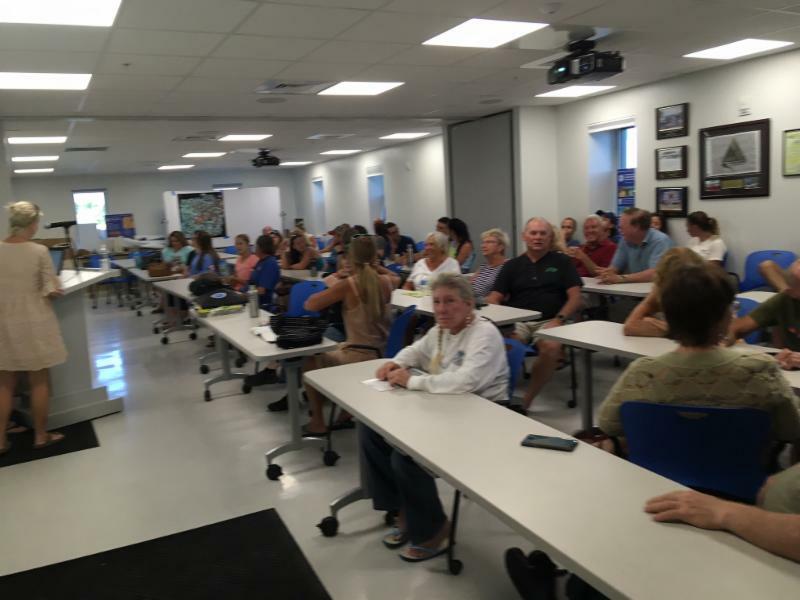 For our June 5 regular meeting, Save-A-Turtle of the Florida Keys was once again privileged to have been invited to a presentation at Mote Marine on Summerland Key, hosted by Dr. David Vaughn. The topic of the presentation was "Hurricane Irma’s effect on the Florida Keys Reef System." 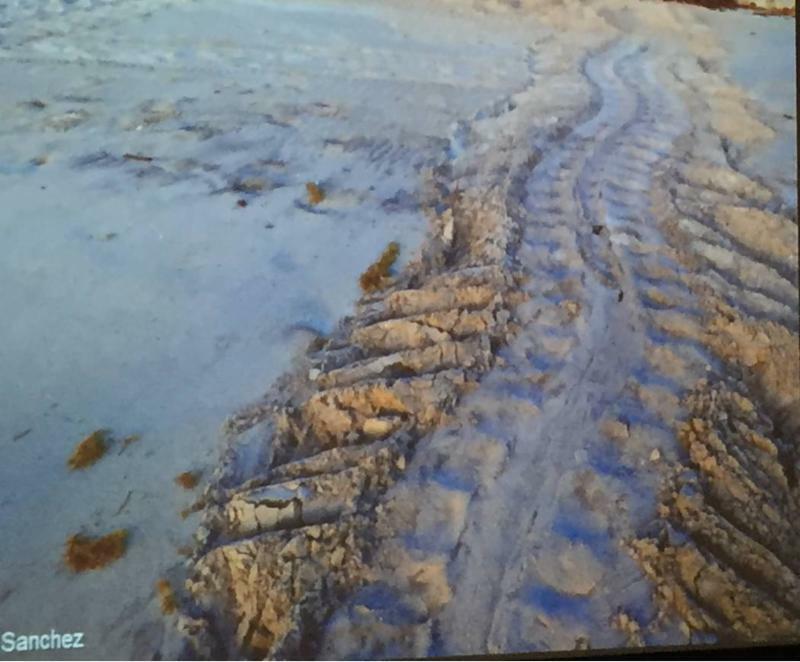 Dr. Vaughn expressed great positivity and hope for the future of the reef based upon increasing efforts to protect what is left, restore what is gone, and the innovations that are coming forward from research.Dr. 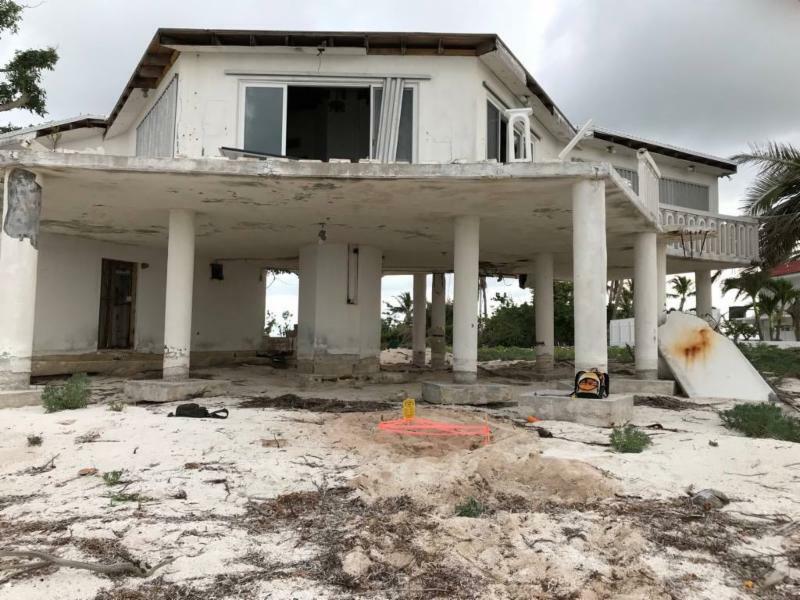 Vaughn explained that if we did not have our reef system in the Keys, there would have been waves in excess of 50’ making landfall in the areas already heaviest impacted practically wiping us off the map, including major loss of life. 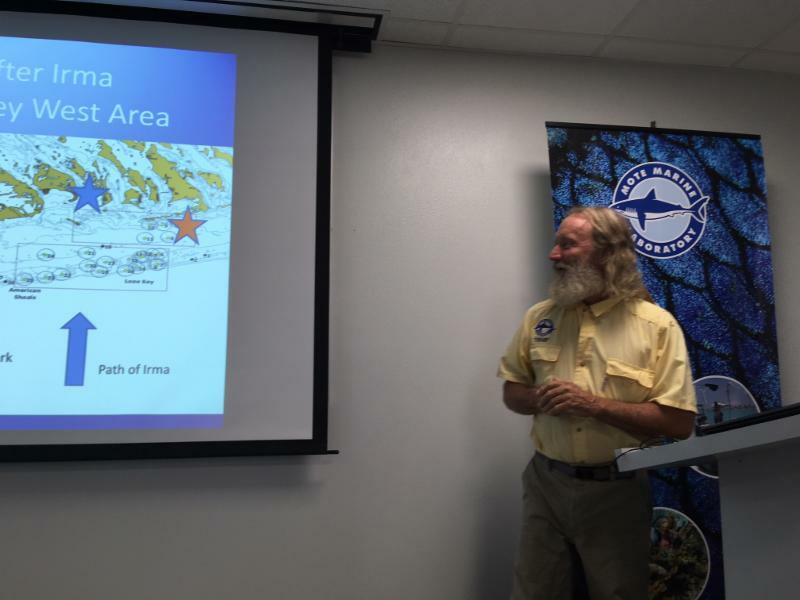 We look forward to future presentations from Dr. Vaughn as the reef recovery efforts continue to progress. Thank you to Dr. Vaughn for his dedication and passion to helping bring awareness through education, and for such driven efforts to help save the reef. Save-A-Turtle will NOT hold a meeting in July. Our Save-A-Turtle Board Members continue to promote the Skip The Straw Campaign throughout the Keys by donating PAPER STRAWS to local businesses we visit on our own for lunch or dinner. We provide a few dozen straws to each establishment, along with an information letter about the campaign and where they can order the straws. 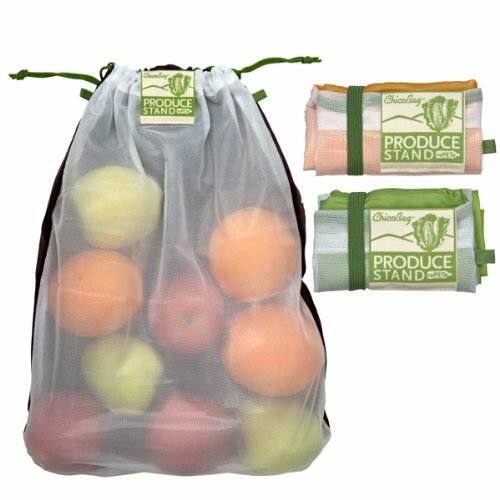 We are happy to say that we have been met with great interest thus far. Of course, the cute little turtles printed on the straws garner lots of "awws" from the customers as well! 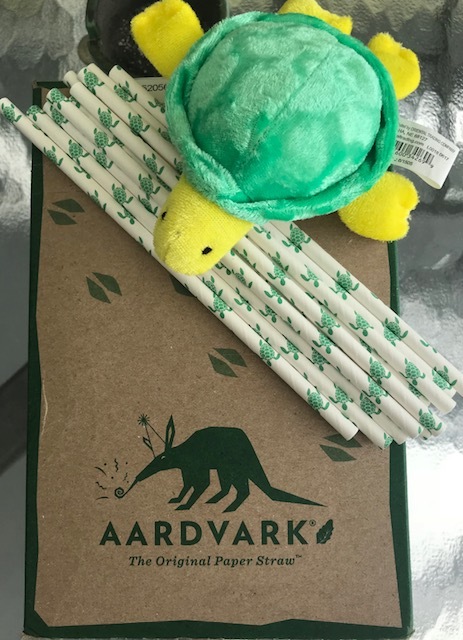 If you'd like to help us promote this very important campaign, you too can purchase these adorable paper straws directly from Save-A-Turtle! Thank you for your support & Flippers Up! Hawksbill turtles are quite beautiful and very rare in the Florida Keys. So spotting one here is a treat! 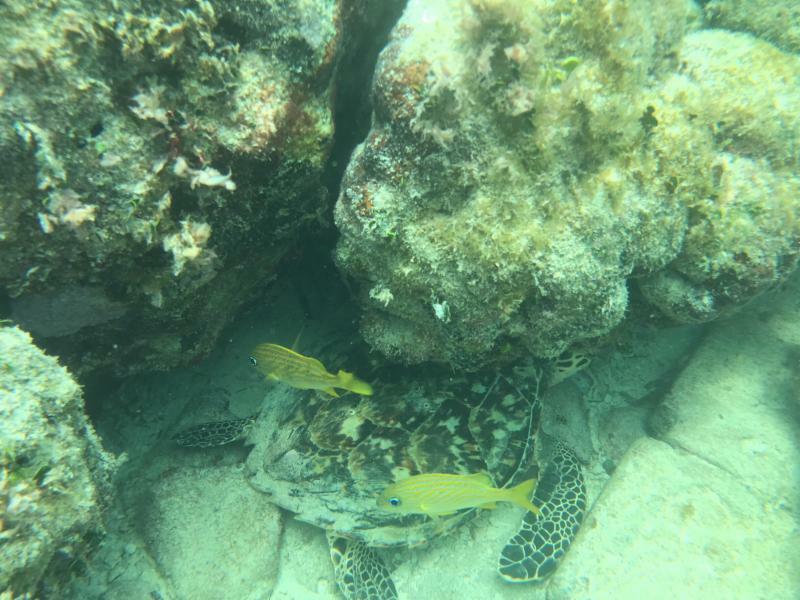 Sherri Crilly, VP of SAT came across this beauty while snorkeling a patch reef close to shore in the Lower Keys last month. 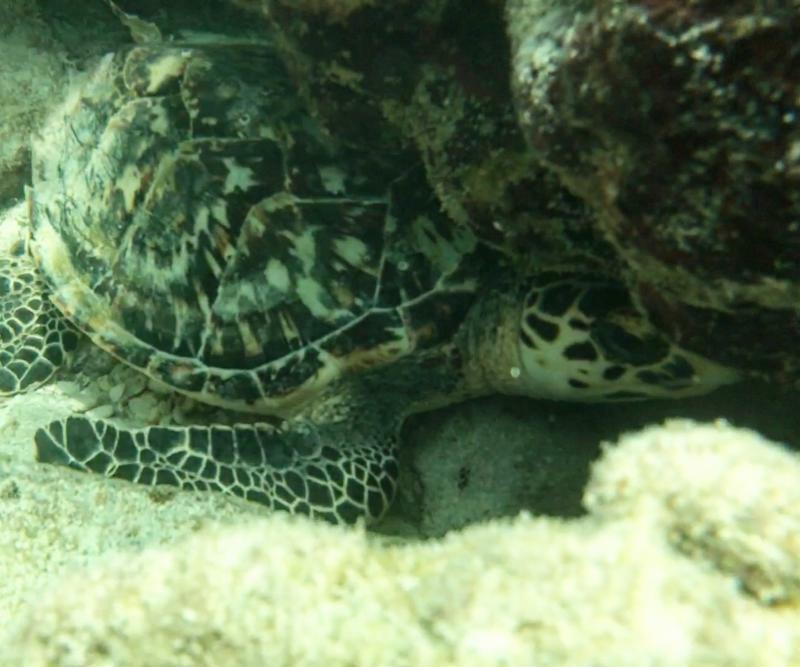 Hawksbill's only nest every 2-3 years, and only a few nests are documented annually. If you spot a Hawksbill in the Keys, please email us at President@Save-A-Turtle.org, along with the location so that we may pass the sighting along to FWCC. 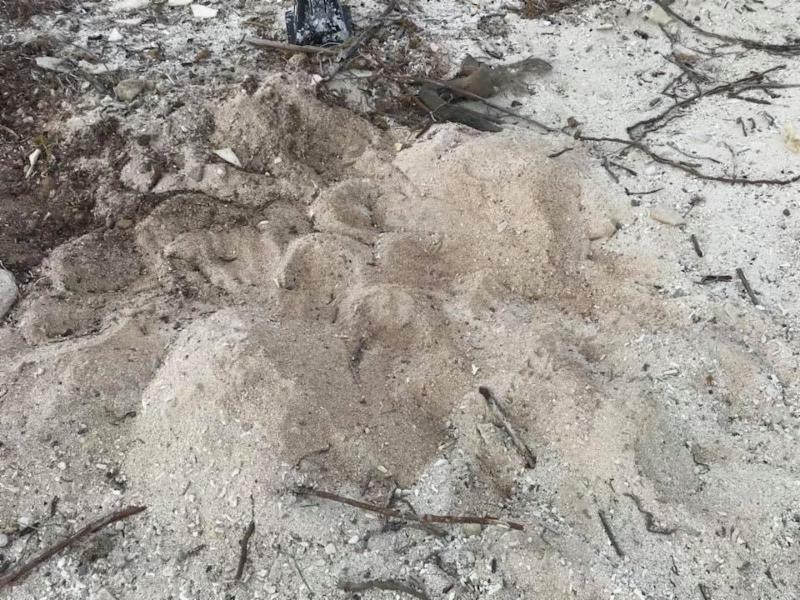 Turtle nesting is finally starting to pick up here in the Florida Keys. Our first nests of the season should be hatching very soon, and of course we will have lots of pics and videos when they do! In the mean time....remember: After 9 It's Turtle Time! So if you live on the coast, lights out! Left: Nest on an Irma damaged property. This female was not discouraged by the debris here. Right: False crawl shown. Something scared her away. However, she did return a few nights later and deposited her eggs further down the beach. 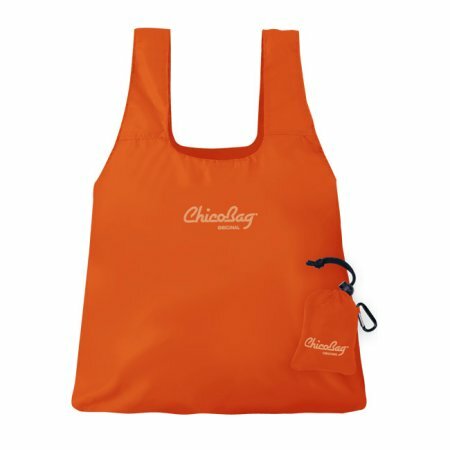 Vacationing at the Beach this Summer? If you love sea turtles and find yourself vacationing along the coastal Pacific or Atlantic, or anyplace in the world for that matter, inquire as to whether or not your vacation spot has any turtle rehab facilities, aquariums or museums. Many areas where turtle nesting is common offer such places to learn about and/or see these magnificent animals. Like to walk the beach in the morning? 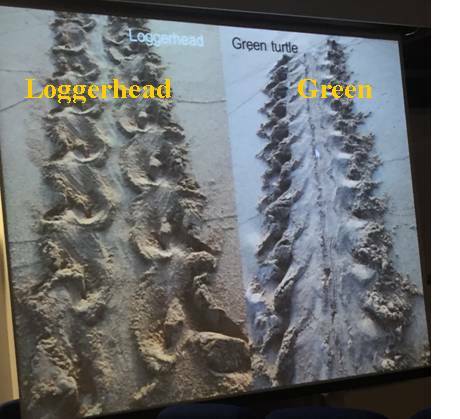 Get out early and you may be lucky enough to spot turtle tracks! See photos below. Some areas may also offer opportunities to actually see a nest hatching. Check with the local sea turtle organization for special events. PLEASE Keep in Mind: If you are lucky enough to observe a sea turtle or hatchlings, LEAVE THEM BE! Watch from a distance so as not to disturb the nesting female or babies making their way to the ocean. NEVER handle any sea turtles. And NEVER shine any flash lights or use camera flashes if photographing.